Burke and Bradley Orthopedics was founded in 2000 at UPMC St. Margaret Hospital in Aspinwall, PA by James P. Bradley, MD and Charles J. Burke III, MD. The group has since expanded and now also includes Craig S. Mauro, MD and Matthew C. Schaffer, MD. Burke and Bradley Orthopedics is a comprehensive sports medicine practice providing our patients with the most current and innovative approaches in the diagnosis and treatment of musculoskeletal diseases and injuries. We specialize in arthroscopic surgery of the shoulder, knee, and hip. We also treat many general orthopedic problems including arthritis, tendonitis, bursitis, and fractures. We perform a wide range of surgical procedures from arthroscopic reconstruction and repair to total knee and shoulder replacements. Drs. Burke and Bradley each have over 20 years of experience working with high school, college, and professional athletes as well as the weekend warrior. Dr. Bradley has been the team physician for the Pittsburgh Steelers since 1991. Dr. Burke served as the Pittsburgh Penguins team physician from 1988-2012. Dr. Mauro is a team physician for the Pittsburgh Steelers and Fox Chapel Area High School and has previously served as an assistant team physician for the Pittsburgh Penguins. Dr. Schaffer is the head team physician for Fox Chapel Area High School athletics. 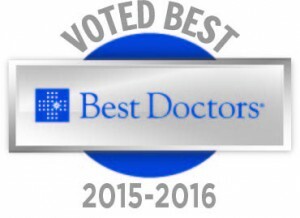 Every year, Pittsburgh Magazine names the top physicians from the region. 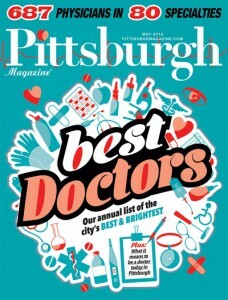 Along with many other awards, physicians from Burke & Bradley Orthopedics have been named to “Pittsburgh Magazine’s Best Doctors” for the past thirteen years.